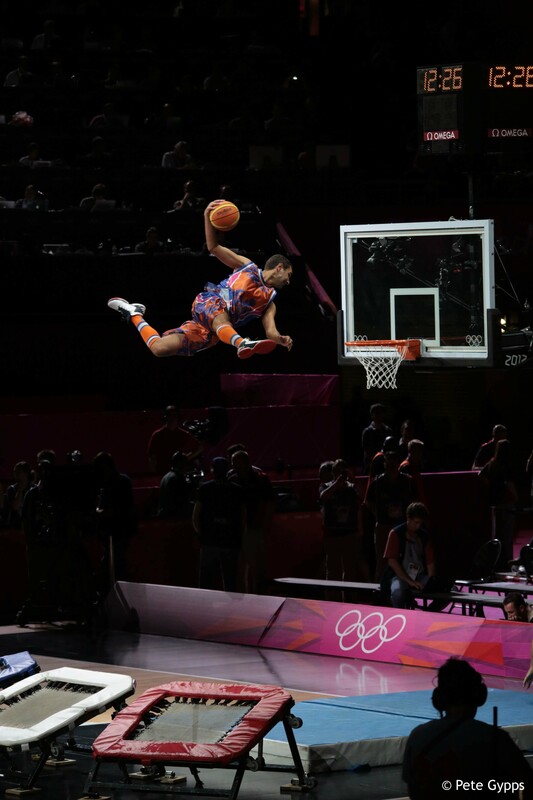 Acrobatic slam dunk is above all an artistic discipline. It consists of a succession of dunks realized with up to 4 tramps. 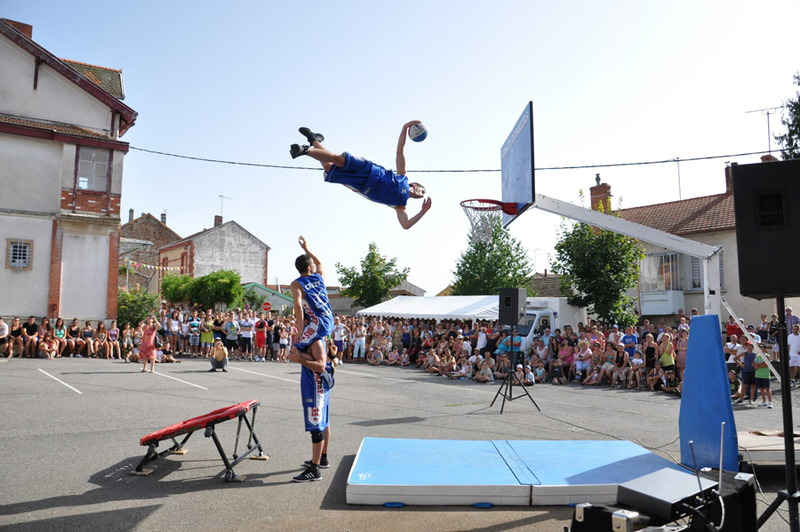 Crazy dunks realized up to 4 meters high with amazing tricks in front of an audience always captivated. 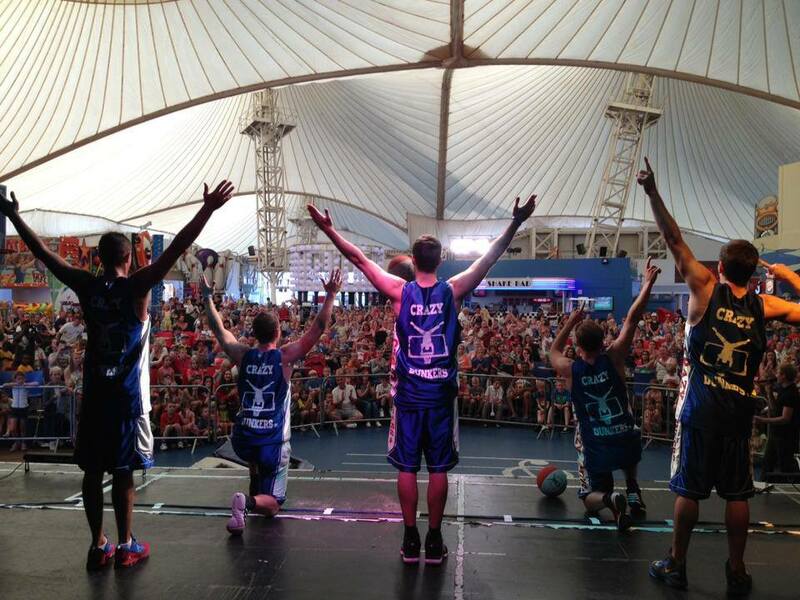 The Crazy Dunkers will amaze your audience with breathtaking shows! 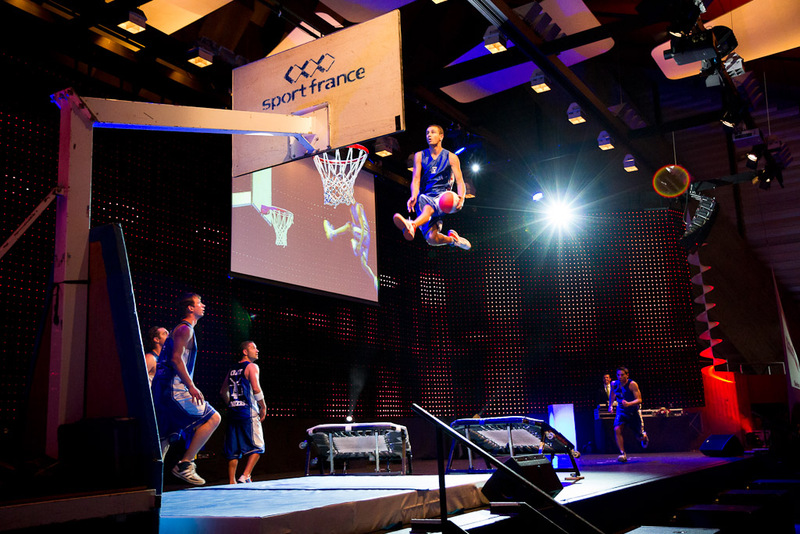 They perform different acrobatic slam dunk shows, always dynamics and explosives on wild sounds of hip-hop and rock music, mixing acrobatics precision to dunks explosion. Shows can last from 2 to 25 minutes and can be adapted, different options are possible up to 1h30 of entertainment, according to your technical, time or other requirements. New show : the Crazy Hand ! 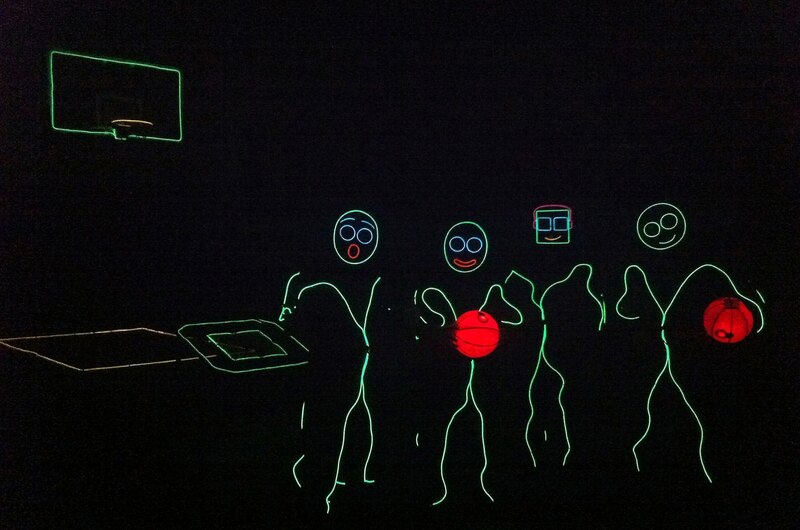 The Crazy Dunkers innovate with their new handball show exclusive for handball games contexts ! Constant leader in acrobatics: they were the first to realize the pyramid with 3 people, they created the Crazy Hand and the multi-jump ! Join the Crazy Dunkers' experience! 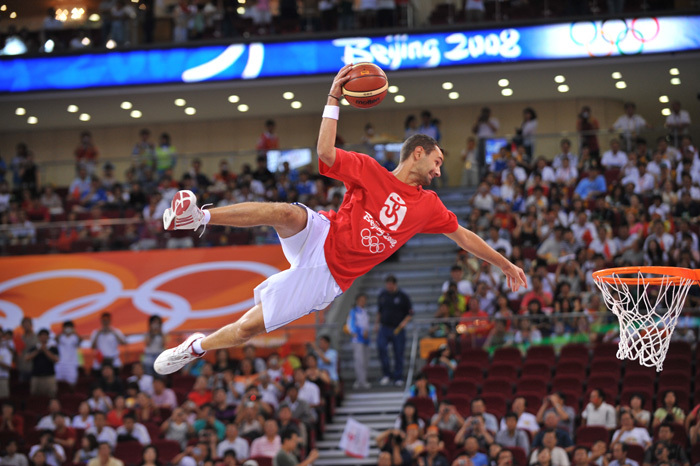 What can be more amazing for fans than trying to be a Crazy Dunker! 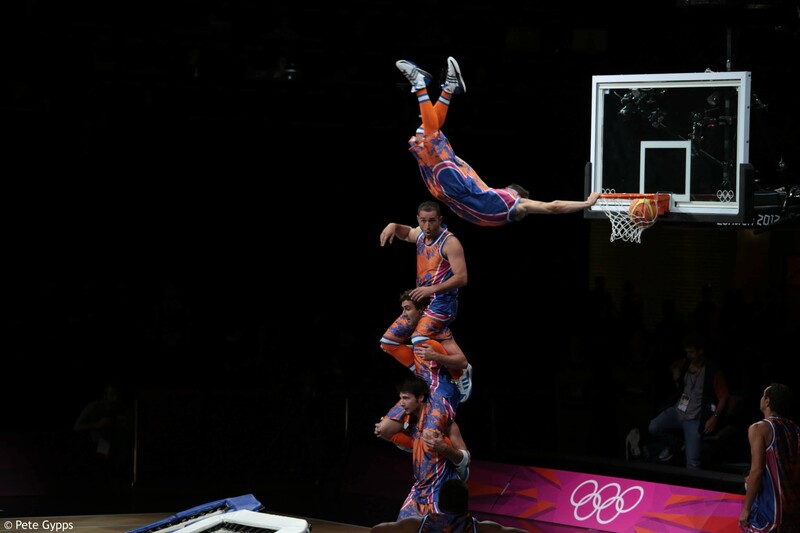 To complete the Crazy Dunkers show, it is possible to set up acrobatic slam dunk initiation sessions of approximately 25 minutes. This is a much appreciated option by event’s organizers and most of all by the audience from all ages who can feel like a Crazy Dunker for a moment. 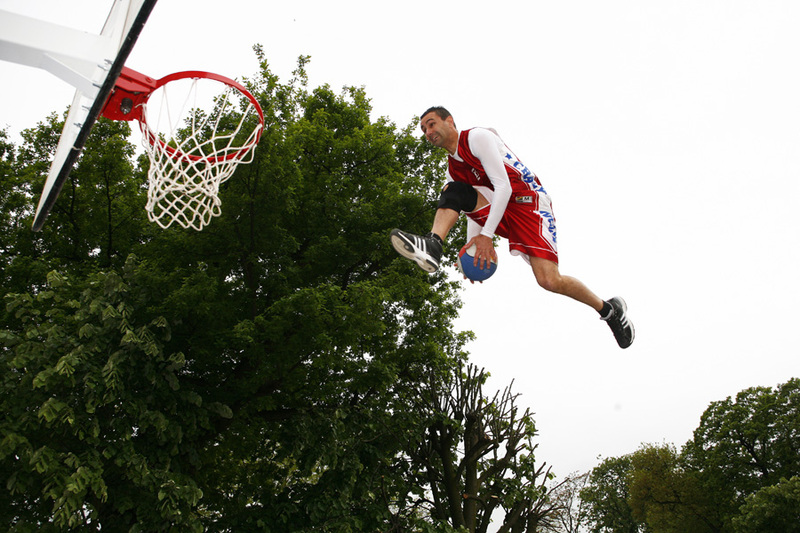 They can learn first steps of acrobatic slam dunk with precious advice from the leaders in full safety. A unique experience and an amazing closeness to the discipline and to the artists themselves.